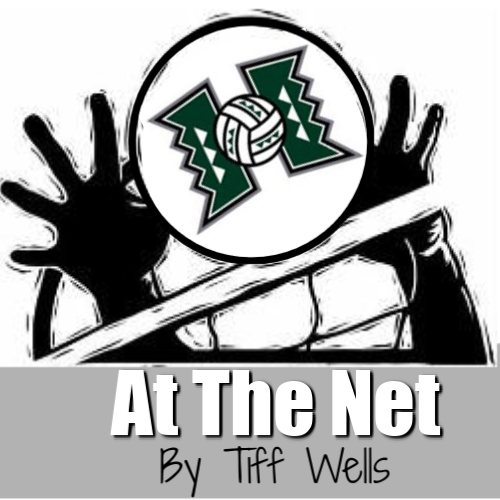 A Hawai’i volleyball blog by the voice of Rainbow Warrior & Rainbow Wahine Volleyball. From “Get Chance?” to “The Streak Continues!” The Rainbow Wahine, for the second straight season, received one of 32 NCAA Tournament at-large bids on Selection Sunday. It marks the 26th straight year and 37th overall that UH has made the postseason tournament. Following Senior Night on Nov. 16th, there was some doubt that UH would receive an at-large bid. The season had its ups and downs: a second-place finish in a mid-major conference; a big win over a ranked team; two losses to teams that had RPIs in the 90s, etc. Then there were the “what ifs” of “had we beaten Oregon, had we beaten Pepperdine, had we not been swept by UC Santa Barbara, had we not lost to Portland…” If all those maybes had actually happened, we’d be talking about UH being comfortably in and not sweating it out for entire Selection Show. Heading into the final week of the regular season, UH had an RPI of 50 and was firmly on bubble watch all week long. The coaches kept the players on the regular weekly routine of practices, film watching and lifting. On their own, the coaching staff monitored those remaining matches and conference tournaments that involved other schools on the bubble. With it being Thanksgiving Week, it became almost an hourly routine of finding a video stream or a live stats feed to follow. A Kansas loss here, a Kansas State win there, Loyola Marymount upsetting then No. 1 and previously unbeaten BYU, Maryland falling, Indiana not getting a win, mid-major conference tournaments not having a surprise winner; it was an interesting week until the day after Thanksgiving when a .500 UCLA team lost their final match to rival USC and became ineligible for postseason consideration. Selection Sunday may have seemed to go by real slow in leading up to the 3:30 p.m. bracket reveal. It was even delayed a few more minutes as once again, the bracket reveal played second fiddle to a consolation game in a college basketball tournament. I also do Rainbow Wahine basketball home broadcasts with Dave Kawada on ESPN 1420 and NBC Sports 1500. As we called the UH-Stanford game, I was also keeping tabs on the bracket reveal. I thought UH had a shot, but when I saw teams near UH’s RPI (LMU, Duke, St. Mary’s, Utah, Denver) get in within the first half of the bracket revealed, I didn’t feel very confident. Every year, it seemed the NCAA finds a way to disrespect UH and the volleyball program, whether it’s having a one-loss season and still being sent somewhere for the first and second rounds, or being placed in a very tough part of the bracket. Sometimes, however, you just have to keep the faith. Sure enough, Hawaii appeared on the screen as part of the Eugene Regional, along with Baylor (Big 12 at-large), New Mexico State (WAC automatic bid) and host Oregon (Pac 12 at-large). The Rainbow Wahine watched the announcement together at the home of a coach’s relative. Once the show was over, the team headed back to campus to get in another practice. Preparations for Baylor (19-8, 11-5 Big 12) began as soon as the matchup was announced. The Bears, ranked No. 25 in the latest AVCA Top 25 poll, have the highest RPI (17) of any team in this Eugene Regional (Oregon-19, UH-46, New Mexico State-49). Baylor is making their third straight appearance in the tournament and their seventh in program history. They are also one of just two teams to represent the Big 12 Conference (the other is Texas, seeded No. 5). Yossiana Pressley, a two-time First-Team Big 12 selection, leads the Bears offensively from the outside hitter position. Just a sophomore, she’s averaging 4.83 kills per set (including a 39-kill performance against Iowa State) and 5.28 points per set. Pressley was named the Southwest Region Freshman of the Year in 2017. Shelly Fanning, Baylor’s other unanimous 1st-team All-Big 12 selection, averages 3.16 kills per set from the middle, and Aniah Philo, an undersized hitter, complements Pressley from the left pin with 2.81 kills per set. Between Hannah Lockin and Hannah Fluegel, the two Baylor setters, the Bears are 19th in the nation in kills per set (14.11). Baylor has a few quality wins over 2018 NCAA Tournament teams on their résumé, including Wisconsin (3-1), Marquette (3-1), Texas State (3-0) and Rice (3-1). They have also lost to UCLA (5 sets) and San Diego (4 sets). The one and only common opponent shared by Baylor and Hawai‘i is Kansas State. UH lost twice to K-State, both in three sets. Baylor and K-State split the conference series with each team getting a road sweep. Congratulations to Big West Conference champion Cal Poly, who will play at USC against San Diego in Round 1. Also to UC Irvine (automatic) and UC Santa Barbara (at-large), who will continue their season in the National Invitational Volleyball Championship. Things to remember: Baylor’s Head Coach, Ryan McGuyre, is married to former Rainbow Wahine player Jennifer Roberts (Jen played with Robyn, Angelica and Aven). The last three NCAA first-round matches for Hawa‘i have all gone to five. All four teams in the Eugene Regional either finished second-place outright, or tied for second place in their conference regular season standings. Hawai‘i is 33-3 all-time in opening round matches. UH is also 6-0 all-time against Baylor, having defeated the Bears in five sets last season in Honolulu. Entering the final week of play within the Big West Conference, the top three teams are in the same order as they were predicted to finish in the preseason poll that came out this past August…Cal Poly, Hawai`i and UC Irvine. The Mustangs are in the drivers seat as they are up a match on UH with two to play and have the “easier” weekly schedule as they host UC Riverside on Friday and an injured Cal State Fullerton team on Saturday. Regardless of UH’s results this weekend, two Mustang wins and they win the conference for the second straight season and receive the automatic bid into the NCAA Tournament. Hitting the end of the regular season in any sport means the celebration of seniors in their final home match. We might be biased because we see it every year here on the island, but no where else in the country sends off their seniors quite like the state of Hawai`i. It doesn’t matter the sport. It doesn’t matter the level of play (grade school, high school, college). There is nothing like witnessing the event of Senior Night in Hawai`i and it’s always something special. It gives the fans one last opportunity to show their appreciation and aloha to the seniors who have sacrificed so much to the program, whether it be a year, four years or in some cases five. Lei, flowers, gifts, autographs and some tears will be evident following the match on Saturday. It will have been nine days since UH played their last match, a tough five-set loss at Pepperdine. First up is UC Irvine (16-11, 10-5) on Thursday. The Anteaters split their matches last weekend and have gone 6-4 in their last 10. Possibly playing for a bid into the Women’s NIVC (National Invitational Volleyball Championship). They are playing without their best player, three-time first-team All-Big West selection Harlee Kekauoha. She has been injured since mid-October. Loryn Carter has played well in that position, moving over from her Outside Hitter spot. Freshman Abby Marjama is a lock for the Conference’s All-Freshman team and has a legitimate shot to be the Freshman of the Year; she’s been steady all season long and a terror from the service line. UC Irvine is also looking to avenge the loss to UH in week 1 of conference play, when the Anteaters were up 2 sets on the Bows and couldn’t hold on for the victory. UC Davis (16-11, 8-7) is UH’s opponent for Senior Night on Friday. It’s been dubbed a “White Out,” so dress accordingly. The Aggies come in having lost their last two but are 7-3 in their last 10. Like UH, they run a 6-2 offense. Malia Bolko, who didn’t play against UH due to a knee injury, returned soon after that match and UC Davis later went on a 7-match win streak. Bolko is also the all-time digs leader at UC Davis and Outside Hitter Emily Allen is one of just four Aggie players to record both 1,000 kills and digs. Without Bolko and Middle Blocker Lauren Jackson in the lineup against UH earlier this season, UH swept UC Davis. As this blog is being typed out, we are in Day 1 of the early signing period of National Letter of Intent. For the 2019 class, UH has five verbal commits and they expect all five to sign at some point. Expected to be announced throughout the first day is the one local product, Braelyn Akana (6-0 FR M/OH Honolulu, HI Kamehameha Schools) and the two domestic players, Amber Igiede (6-3 FR M Baton Rouge, LA St. Michael the Archangel Warriors) and Riley Wagoner (6-0 FR OH Dublin, OH Dublin Coffman HS Rocks). The other two are international signees, Tiffany Westerberg (6-3 FR M Maple Ridge, British Columbia, Canada Maple Ridge Secondary School Ramblers) and Hanna Hellvig (6-3 FR OH, FalköpingSweden Ållebergsgymnasiet). With conferences ending their regular seasons either this week or next and some having conference tournament, UH fans are hoping that the non-conference opponents Hawai`i played earlier this season continue to win out. They are also hoping that some of the teams within their RPI number lose at some point, but also rooting for teams that are certain to get into the NCAA Tournament to win their conference (either regular season or tournament) and receive the automatic bid, thus keeping alive the maximum number of at-large bids possible (32 to be given out). Perhaps there is a team or two that might be at-large quality but fail to post a .500 record (remember to make the NCAAs as an at-large, you must have a .500 or better overall record). Selection Sunday is on November 25th, at 3:30pm HT on ESPNU. Things to remember: UH’s RPI dropped two spots to 57 this week. Receiving some help from the NCAA in an article they recently posted, of the last five years of the NCAA Tournament, only three schools (2015-Kansas State, RPI 51 and Michigan State, RPI 54. 2013-Miami, RPI 53) got an at-large bid with an RPI in the 50s. UH is 39-0 all-time against UC Irvine and have won the last 10 versus UC Davis to lead the all-time series 12-1. UH has also won 10-straight matches on Senior Night. McKenna Granato, Casey Castillo, Tita Akiu, Angel Gaskin, Sarah Liva, Faith Ma`afala and Redshirt Junior Natasha Burns will all be playing in their final two regular season home matches. Both matches will be on ESPN 1420. Coverage on both Thursday and Friday night will begin at 6:50 p.m. HST. Our special in-arena frequency (106.5 FM) will be available as well. You can also listen on our Sideline Hawai’i app, available for free at the App Store or Google Play. 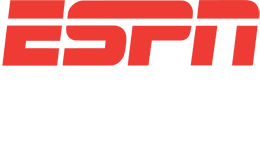 Our website (espn1420am.com) also has a listen live player. You can also follow me on twitter (@tiffersHI) for all things volleyball. Even though the Bows were a match back in the loss column of the conference standings to Cal Poly, UH was and is still playing meaningful matches as we headed into November. They also wanted to get back on the court after that tough 3-set loss at home to UC Santa Barbara. With their last regular season roadtrip also being the longest one of the season, both in terms of number of matches played and number of days on the mainland, UH knew they needed to continue to take care of business but to also remain healthy. One of the mantras of this 2018 season has been the slow starts. UH had another one against CSUN but still managed a way to win the opening set. UH frustrated the Matadors’ leading hitter, Aeryn Owens, all night long, limiting her to just 6 kills (she came in averaging over 4 per set). Natasha Burns was very impressive for UH, putting down 10 kills and putting up six blocks. Sure CSUN isn’t having a great season, but UH took care of business to record their 4th conference road sweep as they headed to Long Beach State. It wasn’t pretty to begin the match for UH as they hit below the mendoza line and lost the opening set. It took until the middle of set 3 for McKenna Granato to reach her 1,000th career kill, becoming only the 20th Rainbow Wahine to do so. The native of Bellflower, California, Sky Williams was huge off the bench, providing the team with a season best seven kills on 14 errorless swings and also putting down two blocks. For the third straight season, UH would end their conference road record with a 7-1 slate, the lone blemish being a 4-set loss at Cal Poly in early October. Normally after the Saturday conference match on the road, UH would fly home on Sunday. Scheduling for this season was different and UH stayed on the road. For the first time since 2013, UH would play a regular season non-conference match on the road. With all the talk about RPI and strength of schedule, UH helped the overall resume with this non-conference match at Pepperdine. It would mark the first match at Pepperdine for Hawai`i since 1998. Out of the West Coast Conference, Pepperdine featured an RPI one spot higher (54) than UH (55). The Waves, led by Punahou alum Scott Wong and a libero (Hana Lishman, also out of Punahou) were coming off a tough road loss three days prior to the UH match. Another slow start and UH quickly was down 0-1. In Set 3, UH was down by eight points, rallied to take a five point lead, only to give up the final eight points (including being aced five times) to once again trail in the match. Normally a good serve-receive team, UH broke down and couldn’t handle the jump-float serve from Heidi Dyer, who only had two service aces entering the match. Resilient, UH would force a fifth set but once again, giving up a long run happened as UH would go down 1-7 and couldn’t recover. At 16-8, the Bows might just have one or two too many losses in the eyes of the Committee to receive one of the 32 at-large bids into the NCAA Tournament. With the bye weekend coming up, UH can only hope to continue that their non-conference opponents continue to win and also for teams around them in the RPI, as well as other at-large possible teams continue to falter. Things to remember: Next week will be the final two regular season matches at home for the Rainbow Wahine. Six seniors and a redshirt junior will play for the final two times inside the Stan Sheriff Center. The State of Hawai`i celebrates Senior Night like no other place in the country. It doesn’t matter the sport, it doesn’t matter the level of competition, witnessing a Senior Night in Hawai`i is something very special. With football and women’s volleyball on a bye, one can go check out the UH Men’s Basketball team in their Outrigger Resorts Rainbow Classic for games Friday through Sunday. Also, the HHSAA State Football Championships begin this weekend in Division I and Division II. You can also follow me on twitter (@tiffersHI) for all things volleyball. A theme for the 2018 Rainbow Wahine Volleyball season could be the song sung by the Kamehameha Schools Children’s Chorus and Mark Kealiʻi Hoʻomalu that was heard during Lilo and Stitch…Hawaiian Roller Coaster Ride. The ebbs and flows of this season couldn’t have been more evident over the weekend with the ultimate high and a disappointing low all within a span of 26 hours. UH was left with a sour taste in their mouth as they left Mott Athletics Center after the 4-set loss on October 6 at No. 13 Cal Poly. The Bows felt as if they had left a lot on the floor in match that in their eyes, could have went to five sets. With four matches to follow before the rematch, UH knew it had to take care of business. It did just that, with four straight wins to keep pace with the league-leading Mustangs and setup the October 26th #BIGGAME rematch. Behind a large and boisterous crowd, the Bows utilized it to their full advantage and defeated a Top 25 team for the first time since 2015. Again, not the greatest start as UH quickly trailed the match by a set, and then again when facing a 2-1 set deficit. Wanting to defend home court and buoyed by a back row defensive effort that was relentless, UH frustrated the Mustang offense. Sometimes numbers tell the story and sometimes they lie. Cal Poly held the advantage in hitting percentage (.281 to .190), fewer combined errors (35 for UH, 25 for Cal Poly) and blocks (19 to 11.5). The Bows outdug the Mustangs 65-62 and also gave themselves more opportunities to attack (168-146). After 2 hours and 22 minutes, UH gutted out the tough 5-set win and put a solid bullet point on its resume. A Top 25 win. A Top 20 RPI win. Even in the conference loss column with Cal Poly but ahead of the Mustangs by having one more conference win, UH was back into first place heading into Saturday after snapping the 3-match losing skid to the Mustangs. And then something that hadn’t happened at home in conference play since 2008 (New Mexico State) when UH was in the Western Athletic Conference and not since 1993 (Long Beach State) in the Big West Conference. The energy…gone. The momentum…gone. The enthusiasm…gone. It was all on the side of UC Santa Barbara. Some had felt that the second match of the home stand could be a trap for UH. Even with their .500 record in conference, UCSB still had one of the best attackers on the West Coast, despite being less than 100%. The Gauchos came in well rested, having not played since the previous Saturday. UH led set 1 24-20, had 6 total opportunities to close out the set and couldn’t. Playing without outside hitter Casey Castillo who wasn’t medically cleared to participate, UH had 24 hitting errors and hit .118, a season-low. UCSB didn’t attack it much better either, but they hit .163 and outblocked the Bows 10-8. Since the 2012 season when UH re-entered the Big West, the Bows had been swept just once…2014 at CSUN. Obviously you want to win every match, but if you were to pick one of the two to win, you’d take the ranked team. In terms of RPI and quality of opponent, the Cal Poly win helped the Bows. This is shown in the latest RPI ranking for UH this week as they moved up 14 spots to 61. Losing to a top 100 RPI team won’t drastically hurt your resume, but at this point, UH needs to just continue to win…and also hope that their non-conference opponents continue to win out. And with UC Irvine having one more opportunity to play Cal Poly, the Anteaters having a high RPI when they come to Honolulu on November 15 could also help. For the final time in the regular season, UH heads to the continent. This time however, it’s for three matches. First up is a Friday match with CSUN (7-17, 3-9) who got their first win since October 5th (snapped a season-high 6-match losing streak) with a home win this past Tuesday against UC Riverside. For the second straight week, UH goes up against the Big West Conference Player of the Week, as Aeryn Owens, who is second all-time in CSUN history in kills, plays her final match on The Blacktop at The Matadome. UH has won the last 8 meetings, including a 4-set win last month in Honolulu. Saturday UH heads to Long Beach State (13-12, 5-7). The Beach continue to lead the conference in blocks per set, buoyed by Emma Kirst and YiZhi Xue. The Bows have won 4-straight in the series, including last month’s 4-set victory in Honolulu. Two days of rest and then a midweek match. For the first time since 2013, UH will play a non-conference road match when they take on Pepperdine of the West Coast Conference. This is the same conference that another non-conference opponent of UH’s is in, Portland. As of press time, Pepperdine is 15-7, 9-3 with matches at Saint Mary’s and Pacific before the UH match. The Waves are 8-1 at home with the only loss to top-ranked BYU in three sets. Pepperdine has an RPI of 53. Things to remember: McKenna Granato is 17 kills shy of reaching 1,000 for her career, which would make her the 20th Rainbow Wahine to enter that club. Norene Iosia is tied with four others for second in the nation with four triple-doubles. The last time UH played a regular season non-conference match on the road was in 2013 when the Rainbow Wahine took part in Wichita State’s Shocker Volleyball Classic. All three matches will be on NBC Sports Radio on AM-1500. Coverage on Friday begins at 4 p.m. HST, Saturday at 3:50 p.m. HST and on Tuesday at 3:50 p.m. HST. Remember that if you’re planning to attend the Tuesday match, it begins at 6 p.m. You can also listen on our Sideline Hawai’i app, available for free at the App Store or Google Play. Our website (nbcsportsradiohawaii.com) has a listen live player as well. You can also follow me on twitter (@tiffersHI) for all things volleyball. Last week’s trip to the continent provided numerous opportunities for Rainbow Wahine Volleyball Head Coach Robyn Ah-Mow Santos to get her bench players some much needed extended playing time. Although the matches were against the two weakest teams in the Big West Conference, UH collectively played better the second time around against both UC Riverside and Cal State Fullerton than they had when they played both teams at The Stan Sheriff Center. Injuries to players was the theme to begin the second half of conference play as UC Riverside was without their best player (outside hitter Ka‘iulani Ahuna) and Cal State Fullerton was missing a couple of starters (outside hitter Madeline Schneider and libero Neena Dimas). Just watching the team play at both UC Riverside and Cal State Fullerton, one couldn’t tell that the bigger matches were to come in the following week (No. 11 Cal Poly and UC Santa Barbara). This team wasn’t looking past the Highlanders and Titans. Last season, UH was down 0-2 at UC Riverside. This time around, there was no letdown. McKenna Granato recorded her fifth straight double-double and also served her 100th career ace. Tita Akiu again proved why she’s been one of the best all-around liberos in the conference and the West region, scooping up a match-high 19 digs. Outside of needing five match points to close out the Highlanders, the Bows played consistently throughout the match. Faith Ma‘afala set the tone against Cal State Fullerton by serving for 17 straight points to begin the match. In fact, in her service turn, the Titans used both times and called for three substitutions. Ma‘afala would serve for a career-high six service aces, and UH as a team would put up a season-high of 13, with just one service error. In fact, the 13 service aces were the most in program history for a 3-set rally scoring match. All 14 traveling players got to play and most of the bench got to see extended playing time on the court. A highlight of the match was Trinity Castaneda putting down her first two kills as a Rainbow Wahine. McKenna Ross played very well, putting down 9 kills on 17 errorless swings while getting 10 digs. For the weekend, Ross had a combined 14 kills on 26 errorless swings. For her efforts over the weekend, Akiu was named the Big West Conference Defensive Player of the Week for the second time. The Rainbow Wahine bring a 4-match winning streak into the #BIGGAME on Friday against No. 11 Cal Poly and then on Saturday against UC Santa Barbara. Earlier this season, Cal Poly handed UH their only conference loss (19-25, 18-25, 25-21, 27-25). UH outlasted UC Santa Barbara in five sets (19-25, 25-14, 25-21, 19-25, 15-10). Cal Poly has won the last three against UH, while the ‘Bows have won 10 straight over the Gauchos. The Mustangs (19-1, 9-0) bring in an 18-match win streak and are off to their best start in program history at 19-1. Cal Poly also has won their last 26 conference matches and haven’t lost in Big West play since November 17th, 2016 in Honolulu. Including the Hawai‘i match, Cal Poly plays four of their final seven on the road. No doubt, this match is big for the Mustangs as well, not only in terms of potentially putting them in firm position for a second-straight conference title, but with an RPI of 18, the Mustangs are in the discussion to be a potential sub-regional host in the NCAA Tournament. Cal Poly also brings in the front runner for Big West Player of the Year in junior right side hitter Torrey Van Winden. Against her last match against Hawai‘i, she put down a season-high 29 kills on 64 swings to hit .344 and recorded 14 digs. Don’t be surprised if orrey is among those listed as a first or second team All-American. UC Santa Barbara (13-9, 5-5) is led by one of the top talents on the West Coast, outside hitter Lindsey Ruddins, the reigning Big West Player of the Week. The number one offensive option for the Gauchos, she’s put double-digit kills in every match while taking 40 percent of the total swings. She’ll be a first-team selection once again in the conference and should receive national recognition in terms of All-Region and All-American accolades. Things to remember: With an RPI of 75, UH is on the outside looking in when the discussion of at-large bids come up regarding the NCAA Tournament. With this week’s matches against 11th-ranked Cal Poly (RPI 18) and UC Santa Barbara (RPI 98), it provides two big opportunities for UH to bolster their résumé and RPI with quality wins. Not to mention the opportunity to be tied for first place with the Mustangs after Friday. Hawai‘i is undefeated at home in conference play (4-0). McKenna Granato is also 50 kills shy of reaching 1,000 for her career and would be the 20th Rainbow Wahine to do so. You saw the graphic at the top of the blog; not only is Friday’s match a WhiteOut, but it’s also a Free Youth Night. Head to www.hawaiiathletics.com for information. Friday’s match will be on ESPN 1420 while Saturday’s match will be on NBC Sports Radio on AM 1500. Coverage on both nights will begin at 6:50 p.m. HST. On Friday, our special in-arena frequency (106.5 FM) will be available as well. You can also listen on our Sideline Hawai’i app, available for free at the App Store or Google Play. Our websites (espn1420am.com and nbcsportsradiohawaii.com) each has a listen live player as well. You can also follow me on twitter (@tiffersHI) for all things volleyball. First half of Big West conference play ended this past weekend and the ‘Bows are right where they were predicted to finish in the preseason poll…in second place. UH is still the only conference team to have taken a set off of Cal Poly; that brings zero solace to a program that is expected to contend for the conference title year in and year out. Taking care of business at home with wins against longtime rival Long Beach State and CSUN, UH remains unbeaten at home in conference play. Yes it wasn’t pretty at times but the Bows were able too grind it out through each match and came away with two wins. UH outhit both Long Beach State (.242-.215) and CSUN (.252-.213) and also hit above their season average (.212). The emergence of Middle Blocker Sarah Liva as an offensive weapon has really helped to diversify the league’s second best offense, in terms of kills per set. Liva has four-straight matches with 10 or more kills. She mentioned to us in the postgame interview last week that she had been working with both setters (Norene Iosia and Faith Ma`afala) a lot in practice on getting their timing right, even adjusting the set to be a little higher. That has worked out for Liva as she has also moved up the conference ranks and is second this week in terms of hitting percentage (.369). Her counterpart, Natasha Burns has continued to do well. At 6’5”, she was very effective against CSUN, with 12 kills on 23 swings and only one hitting error. Success for the middles will only open it up for pin hitters McKenna Granato, Casey Castillo, Angel Gaskin and Norene Iosia. Sure the team numbers have gone down in terms of both hitting percentage and blocks per set, but the team has continued to combat that with solid serve receive passing and overall floor defense. Digs per set are up, led by Tita Akiu and her 4.6 per set average. Her overall and per set numbers may not be at the top of the conference, but she has the most responsibilities of anyone when not only being asked to pass 80-85 percent of the court, but to it quite well. She has just 13 serve receive errors in 385 receptions, good for a .966 percentage. Eight conference matches remain for UH, four each at home and on the road. Having now seen everyone in the conference, the team and staff can now prepare for a second go-around with an opponent as they now have match footage from the first meeting. Nailah Jones has done well for the Highlanders (6-12, 1-6), stepping in for the injured Ka`iulani Ahuna as the number one offensive option. Although UCR has lost two straight and seven of their last eight, they have pushed UCSB to four sets and were also up two sets at UC Davis last week before falling in five. It has been difficult to replace the offensive production with Ahuna being out for the past six matches and with her having seen just one set (no stats recorded) since, one of the nation’s leaders in terms of kills per set and points per set can only watch and cheer from the sidelines. Her status remains up in the air for Friday’s match. Cal State Fullerton (6-15, 0-8) has dropped now 14 matches in a row after starting the season 6-1. In fact, the Titans have been swept in their last nine matches and haven’t won a set since September 15th versus Idaho. Libero Neena Dimas has been a big find for Head Coach Ashley Preston; from invited walk on, to starting libero and 11th in the conference in digs per set. Things to remember: The next dig by Tita Akiu will give her number 300 for the season. McKenna Granato currently stands at 99 career service aces and is also 62 kills away from becoming the 20th Rainbow Wahine to amass 1,000 career kills. Entering this week, Norene Iosia is tied for second in the nation with Maggie Gibson of IUPUI for most triple-doubles on the season; both players have 4. UH’s RPI dropped to number 73 this week. Both matches this week will be on NBC Sports Radio on AM-1500. Friday’s coverage begins at 4 p.m. HST, while our coverage on Saturday starts at 3:50 p.m. HST. You can also listen on our Sideline Hawai’i app, available for free at the App Store or Google Play. Our website (nbcsportsradiohawaii.com) each has a listen live player as well. You can also follow me on twitter (@tiffersHI) for all things volleyball. It has been a regular occurrence for this program to be unbeaten after hitting the quarter pole of conference play. That remained true in 2018; however, the Rainbow Wahine were a half match behind league leader Cal Poly in the conference standings. The road trip to the Central Coast to take on UC Santa Barbara and No. 13 Cal Poly provided an opportunity remain perfect in the Big West Conference and to bolster their résumé against a Top 25 opponent in the Mustangs. Clearly, the bigger matchup was on night two against the Mustangs. But head coach Robyn Ah Mow-Santos and her team knew they had to take it one match at a time. Once you get caught looking ahead, more often than not business is not taken care of in the prior match. Focusing on the Gauchos meant preparing for Lindsey Ruddins. The All-American outside hitter is one of the top players in the conference and on the West Coast. During pre-match warmups, however, Ruddins sustained a wrist injury to her non-hitting hand, and it would affect her play throughout the match. It was noticeable to all inside The Thunderdome that she wasn’t 100 percent. Also, starting middle blocker Charlie Robinson took an attack off her forehead and was forced to exit the match in set 4. The Bows showed grit after dropping the opening set by winning the next two. Going to a fifth set, UH got off to a hot start and led 8-2 at the change of sides. A 15-10 set win gave UH the match, their 10th straight win over UCSB. With both teams looking to remain unbeaten in conference play, Hawaii and Cal Poly in the Big West took to the court inside Mott Athletics Center. A sold-out crowd helped spark the hometown Mustangs to a two sets to none lead. Again, bolstered by their never-say-die attitude, the Bows responded in the third set to hand Cal Poly their first conference set loss. The Bows were resilient in holding off two Cal Poly match points, and UH even had a set-point opportunity of their own, but couldn’t close, falling in four sets. UH had no answer for Torrey Van Winden, as she had a season-high 29 kills. For the second straight match, Sarah Liva performed very well, establishing a new career-high in kills (12). McKenna Granato recorded her second-straight double-double and Norene Iosia put down triple-double number three in 2018 (11 kills, 24 assists and 21 digs). The Mustangs have a backloaded conference schedule, as six of their final ten conference matches are on the road, including the rematch with UH in Honolulu on October 26. UH headed home with a respectable 1-1 roadtrip and still looking for that Top 25 win, having now lost 13 in a row dating back to 2015. Rounding out the first half of conference play, UH welcomes Long Beach State (Friday) and CSUN (Saturday) to the Islands. The rivalry between Hawaii and the Beach isn’t quite what it was back in the 80s and 90s, but each head coach understands the importance of it, having experienced it first-hand as players. Friday’s match against the Beach (11-8, 3-3) features the best blocking team in conference (2.44 blocks/set) while also having two of the top three blockers in Emma Kirst (1.11 blocks/set) and YiZhi Xue (1.08 blocks/set). LBSU has had nine matches this season with double-digit blocks and no fewer than seven in their six conference matches. The Bows have won the last three meetings versus Long Beach State. CSUN (6-12, 2-4) has lost four of their last five, including a tough five-set match at home two weeks ago to Long Beach State. Outside Hitter Aeryn Owens is in the top five of the conference with over four kills per set. The Matadors have used three setters this season, one being Kamalu Makekau-Whittaker out of Kamehameha-Hawaii. UH has won the last seven meetings versus CSUN. Things to remember: Saturday’s match is UH’s “Dig Pink Night” and fans are asked to wear pink in their support of breast cancer awareness. UH’s RPI moved up 30 spots to 70 this week. Both matches will be broadcast starting at 6:50 p.m. Friday’s match against The Beach is on ESPN 1420 and Saturday’s clash with CSUN will be on NBC Sports Radio on AM 1500. You can also listen on our Sideline Hawaii app, available for free at the App Store or Google Play. Our websites (espn1420am.com and nbcsportsradiohawaii.com) each has a listen live player as well. You can also follow me on twitter (@tiffersHI) for all things volleyball. After an impressive 2-0 conference opening road trip that included the reverse sweep at UC Irvine, Hawaii entered week two of conference play unbeaten and just a half game back of league leader Cal Poly. Week two also welcomed two winless conference teams to the islands: Cal State Fullerton and UC Riverside. It’s easy to get up for a match when you play a top team in conference or a ranked opponent, but oftentimes when you face off against a team that is just the opposite, sometimes complacency and a lack of energy and focus hit the floor. Cal State Fullerton began their season 6-1 but the Titans had hit a slide, having lost nine straight matches coming into the Hawaii match. Dating back to 2012, UH had won the last 33 sets in a row against the Titans. Fullerton also hadn’t won a conference road game since 2014 (a streak of 31 straight losses). For all of those historical numbers swinging in favor of UH, the match numbers didn’t dictate a dominant sweep. Set 1 saw a tied score at 11-all before McKenna Granato started a scoring run to give UH a 19-12 lead. The set also featured a historical aspect as freshman Kamalei Krug made her season debut as a Rainbow Wahine and became the first graduate of Anuenue to play for UH in any sport. The true freshman was a focal point on the floor, recording two kills on 14 swings and was physical at the net, putting down three of UH’s season-tying high of eight blocks. All of this, and she didn’t even play her senior year of high school due to a knee injury in the summer of 2017. Looking to get the sweep, UH outhit the Titans .221 to .074. The .221 number isn’t the greatest in a three-set sweep but the Bows did distribute the 113 attacks quite well as six players had 10 or more swings. The versatility of Norene Iosia was shown once again as she had 10 kills, 11 assists, five digs, three blocks and an ace. And add another double-digit dig match for Tita Akiu, as she recorded a match-high 17 digs. UH also held Fullerton’s leading attacker Madeline Schneider to just 6 kills as she hit negative for the match; Schneider came into the match seventh in the conference in kills per set. Just like Fullerton, UC Riverside had began the season strong. The Highlanders began 4-1, but also like the Titans, UCR had hit a snag, losing four straight and eight of their last nine. Their offense also took a drastic hit when their top outside hitter and statistically one of the most productive hitters in the country, Kaiulani Ahuna, went down with a knee injury the week prior to the UH match. She would have received a great welcome, as all Hawaii-born players do when they come back and play against UH, but Ahuna wasn’t medically cleared to travel. UCR’s offensives woes continued as they had just 23 kills and hit in the negative. Despite their third sweep in four conference matches, the Rainbow Wahine weren’t pleased with their efforts. UH hit just .184 and committed 28 unforced errors (19 hitting and 9 serving). Combine that with Friday’s performance of 14 hitting and 11 service errors, the team knows they gave away a lot of points to the opposition. It’s always good to see a team wanting to perform better than the last match as it shows they care about the team and the historical prominence of the program. Hawaii kept alive their unbeaten records versus Cal State Fullerton (39-0 all-time) and UC Riverside (24-0 all-time) but also kept alive the more important fact of being unbeaten in conference play heading into week three. Going to the Central Coast of California this weekend for their second conference road trip, the competition ratchets up a few notches as the Bows take on one of the best hitters in the county and the only ranked team in the Big West Conference. The leading attacker in the conference (kills per set and points per set), Lindsey Ruddins will take many, many, many swings for UC Santa Barbara. Friday’s match against the Gauchos (12-6, 4-2) will feature a heavy usage of Ruddins. She’s the leading attacker in the nation with almost 14 swings per set. She is in the top ten in terms of both kills and points per set. Their offense goes through her as she’s had double-digit kills in every match this season. Defensively, libero Emilia Petrachi became the school’s all-time digs leader during the Tuesday’s win against CSUN. UH has won the last nine matches in the series versus UCSB. Saturday’s match at No. 13 Cal Poly has been dubbed a “blackout” by the Cal Poly athletic department. An older facility (Mott Athletics Center) that doesn’t have air conditioning will test the endurance and stamina of both squads. Obviously, the Mustangs practice there daily and UH is used to those conditions when they practice inside Klum gym. The Mustangs (15-1, 5-0) have been on a tear, winning six straight matches by a 3-0 sweep en route to a 19-set win streak. The Mustangs are currently on a 14-match home win streak. They also bring in a program-record 16-match winning streak and a 22-match conference winning streak. Two of the best attackers in the conference lead the Mustangs in Torrey and Adlee Van Winden. A trusted libero, Katherine Brouker controls the back row for Cal Poly and a freshman setter Avalon DeNecochea has stepped in nicely to run the offense following the graduation of last year’s Conference Player of the Year, Taylor Nelson. Cal Poly swept the season series last year against UH for the first time since 1985; both of the Mustangs wins in 2017 came in five sets. Things to remember: UH has lost their last 12 matches against the Top 25 after going 0-2 against Oregon earlier this season. With the Bows having gone a combined 1-5 against teams rated in the Top 100 of the first RPI (came out this past Monday), there are two large opportunities for UH to improve that this weekend as UCSB is at 87 and Cal Poly is at 16. Both UH matches are on NBC Sports Radio on AM-1500 this week. Our broadcast for Friday begins at 4 p.m. HT and Saturday has a prematch show beginning at 3:50 p.m. HT. You can also listen on our Sideline Hawai’i app, available for free at the App Store or Google Play. Our website (nbcsportsradiohawaii.com) has a listen live player as well. You can also follow me on twitter (@tiffersHI) for all things volleyball. To be in the conversation for a conference regular season title, the mantra is twofold-defend home court and pick up wins on the road. For the first time since the 1995 season, Hawai’i didn’t enter conference play as the preseason favorite (that distinction was given to Cal Poly). With a resume prior to conference play that included four wins against teams who had a combined overall record of 8-24 (Coastal Carolina: 1-7. Idaho: 6-6. San Diego State: 1-11) entering last week, it’s pretty plain and simple for UH that with no marquee non-conference wins to date, that if they have any thoughts of playing in the NCAA Tournament, their ticket to the dance comes from the Big West Conference’s automatic bid. There pretty much is no shot at an at-large bid, though UH does have two opportunities against a ranked Cal Poly team this year. UH’s 18th installment of Big West Conference play began on the road and it is arguably the toughest in terms of travel. Yes the Central Coast roadtrip (UC Santa Barbara and Cal Poly) may be difficult to get to (either a three hour drive north from LAX or a two plus hour drive south from San Jose) and has the toughest team in conference (Cal Poly), but to use two flights for this roadtrip, to me it’s the toughest overall conference roadtrip. Like UH, UC Davis had lost their previous two matches and three of their last four. But the Bows would catch two breaks as 1-UC Davis’ libero was out with a knee injury (top 2 in program history in digs) and 2-one of UC Davis’ starting middle blockers was out with an ankle injury (coming into the match, she was top 3 in the conference in blocks per set). A convincing first set victory, followed by a 5-0 run to close set 2 gave UH the 2-0 match lead. The Bows would get a huge solo block by McKenna Granato late in the third set that helped turn the tide and UH would win the final three points (after facing a set point for UC Davis) and win their conference opener in straight sets. Historical notes: this is UH’s 10th straight win against UC Davis and have now won 18 straight sets in the series. The Aggies, known for their floor defense, came in 4th in the NCAA with 18.1 digs/set but would have 46 for this match and UH won the dig battle 55-46. Natasha Burns came up big with 13 kills to hit .455 and had 4 of UH’s 8 blocks, while McKenna Granato and Casey Castillo each added 10. Norene Iosia added yet another double-double on the year and Tita Akiu led the floor defense with 13 digs. The Bows also held one of the conference’s best attackers (Emily Allen, came in 5th averaging 4 kills/set) to just 9 kills on 36 swings. A Saturday morning flight to LAX followed by a drive to UC Irvine and a tough, two plus hour practice at UC Irvine’s Crawford Hall (the practice facility for UCI basketball and volleyball) helped UH to prepare for their Sunday match against a UC Irvine squad who had won a season-high four matches in a row, highlighted by a 4-set win earlier in the week at UC Santa Barbara. A tough serving freshman (Abby Marjama), along with an experienced core of players (Libero-Haley DeSales, Middle-Idara Akpakpa, Setter-Ali Koumelis) who had gone to the quarterfinal round of last year’s National Invitational Volleyball Championship and the fact UC Irvine had never beaten Hawai’i in program history (0-38 all-time entering this match). Hawai’i started strong in the first set, but something that has bit this team time and time again this season (not being able to close out a set), happened against. UH led Set 1 21-20 and lost 25-23. UH had an eight-point lead at 14-6 in Set 2 but couldn’t close and lost it 25-22. Unforced errors plagued Hawai’i in the set, having 12 hitting errors. Staring down the barrel of another 2-set deficit, how would the Bows respond coming out of the 5-minute intermission. Two major changes to lineup began Set 3: Casey Castillo moved to the right side position (taking out Angel Gaskin) and McKenna Ross came off the bench to play in that second outside hitter position (taking Casey Castillo’s spot now vacated with Castillo on the right side). Ross has done this before, having sparked UH’s comeback win in 2016 when she was a freshman against Arizona and nearly bringing UH back in last year’s NCAA first-round match against Illinois. UH knew they left at least one set on the table and with the team needing a spark, the coaching staff needed to do something. The Bows also hadn’t been able to slow down UCI’s Opposite, Harlee Kekauoha, who had 8 kills without an error through two sets. Grit, determination, moxie…whatever word you want to chose was what Hawai’i would show on the floor in the final 3 sets. Long service runs by Faith Ma’afala, Sarah Liva and McKenna Granato helped UH get back in the match. The overall floor defense gave UH multiple opportunities to keep rallies alive as well. Having been required to run a seven-minute mile during training camp also proved to be vital as over the course of the last three sets, UH looked to be in better condition. Off a service error, UH won set 3 25-23. Set 4 began with a 5-0 run by UCI but UH would go on a run of their own, scoring eight straight behind Granato’s serve. That cushion helped UH force a fifth after winning the fourth 25-20. Now the elephant was back on the floor…the inability to close a match when getting to a fifth set. UH had lost their last four five-set matches, and had leads at the switch in a couple of those. A 5-0 run gave UH the cushion they needed to break a 7-all tie into a 12-7 lead. It got close at 12-10 but Natasha Burns came up big with a solo block and then McKenna Ross (at 5’10’) got the match-ending block on UCI’s Loryn Carter (6’3). Even though they were out blocked by 11 (15 to 6) and out hit by .032 (.207 to .175), UH won the dig battle, at +13 (99 to 86). The 99 digs were the most by UH since a 2014 5-set victory…also at UC Irvine. Rika Okino came up with 12 important digs. After one week of conference play, to me, UH had the best week. Picking up two road wins against the upper tier of the conference was important. Yes I realize Cal Poly won all 3 of their matches and Long Beach State is 2-0 too. Cal State Fullerton comes in on Friday (6-10, 0-3), having lost nine straight, including a sweep on Tuesday at future BWC opponent CSU Bakersfield. Madeline Schneider leads the Titans with 3.56 kills/set. UH is 38-0 all-time against Cal State Fullerton. UC Riverside (5-9, 0-3) is on the island for a Saturday match. The Highlanders are trying to find an offense after losing their number one Outside Hitter, Kaiulani Ahuna (Kamehameha-Hawai’i alumna) in the opening set last week Tuesday at Long Beach State. Ahuna has three 30-plus kill matches this season and has also been named National Player of the Week. Her status is unknown as she’s not played in the last three matches. The Bows are 23-0 all-time against the Highlanders. With the obvious big roadtrip next week (UC Santa Barbara and No. 15 Cal Poly), you don’t want to get caught looking ahead to that and stumble sometime this week (some may call it a trap game). Things to remember: Tita Akiu has recorded double-digit digs in every match this season. Hawai’i is also looking to get back to and over a .500 home record (currently at 4-5). Both UH matches are on ESPN 1420 this week. Our prematch show begins at 6:50 p.m. on Friday and Saturday. You can also listen on our Sideline Hawai’i app, available for free at the App Store or Google Play. If you’re in the arena, you can listen our special FM frequency (106.5 FM). Our website (espn1420am.com) has a listen live player as well. You can also follow me on twitter (@tiffersHI) for all things volleyball. Week four featured Hawaii’s only opponent out of the Pac-12 Conference for non-conference play and the first Top 25 foe of the season, No. 12 Oregon. The Ducks flew to Honolulu boasting one of the top recruiting classes and have had a top-four class in three of the past four years. Oregon was also coming in 3rd nationally, averaging 15.28 kills per set. A strong service game to boot for Oregon who had come in recording two aces per set. Having played four of their first 8 matches against Top-5 teams, the Ducks were already battled tested. Night one was a Ducks sweep and again, it saw something that happened to UH in the matches against Kansas State, a set where they couldn’t close it out. The second night featured an 0-2 deficit for UH, incredible grit to force the match to a fifth, only to see a 10-9 lead result in a 15-12 set loss and UH’s 5th loss (all at home) on the season. In the first match versus Oregon, UH failed to have an attacker record double-digit kills for the first time this season. Running the middle was a constant for UH as Natasha Burns and Sarah Liva combined for 17 of the team’s 35 kills. For Burns, she amassed her 200th kill of her career as she had 8 on the night. Sarah Liva led the way with 9 kills, tying her season-high. Defensively, Tita Akiu has proven why she was a Big-12 level player, as she had 16 digs. But again, with how this season has gone with its up and downs, no lead is safe for UH. Set 2 saw UH with leads of 7-1, 19-12 and 21-13 only to have Oregon close the set on a 12-2 run. The match would be UH’s 3rd defeat in straight sets this season. The rematch versus Oregon on night two felt like a Hawaiian Roller Coaster Ride. A tight first set loss, followed by Hawaii’s worst set loss since 2008 sent UH to the locker room down 0-2 once again. Willed by the season-high crowd of 4,242, the Bows staged a comeback battling to win sets 3 and 4 and for the second time this season, UH would play a 5th set. Oregon led 8-7 at the turn only to see UH take a 10-9 lead. However, the Ducks would close the set and match on a 6-2 run to end Hawaii’s hopes of staging the reverse sweep. UH has now lost 12 straight versus the Top 25. Even with the loss, the floor defense combined with sending the match to a fifth set after being down 0-2 were strong positives. Especially the floor defense…UH had 93 digs, a season high and the most since 2014. Then Big West Conference Defensive Player of the Week Tita Akiu tied her tied her season-high with 26 digs and has eclipsed 20 or more digs in 4 of the last 5 matches. Another positive was Angel Gaskin. She put down a season-high 12 kills, as her mom was in attendance. For the third time in program history (and a thank you to Hawaii Warrior World for pointing this out), the Bows enter conference play with a sub-.500 record for the third time since UH was affiliated with a conference beginning in 1985. The other two being in 1992 (1-3) and 1993 (2-3). 1992 was the last time UH failed to make the NCAA Tournament (15-12, 11-7 and BWC 4th). 1993 featured a 19-11 season and a trip to the NCAA Regional Final. With no big non-conference wins on the resume so far (and probably two matches vs a ranked Cal Poly team), conference play may be more stressed than in years past. Win the conference, get the NCAA automatic bid. Depending on how the series with Cal Poly goes, there might not be a strong case for UH as an at-large team. For the first time this season, Hawai’i heads to the continent. The first of four regular season trips sends UH to NorCal (Friday at UC Davis) and then to SoCal (Sunday at UC Irvine). This is the second time in the past three years that UH opens up Big West Conference play on the road. UC Davis (8-5, 0-1) lost in 3 on Tuesday at No. 15 Cal Poly. Preseason picked to finish 6th, the Aggies are led offensively by Emily Allen. She’s 6th in the Big West with 4.04 kills. Defensively, they have the league leader in digs per set (5.38, which is good for 21st in the nation) in Senior Libero Malia Bolko. Although, she has been sidelined for the past two matches and we’ll find out her status on match day. With Bolko sidelined, Ally Reyes stepped up to fill the void at Libero and was named this week’s Big West Conference Defensive Player of the Week. As a team, the Aggies are 4th in the NCAA with 18.50 digs per set. Throw in UH’s Tita Akiu, who is second in the Big West with 4.97 digs per set, it could set up to be a long match with a lot of rallies and large dig totals for many players. At the net, Lauren Jackson is third in conference with 1.03 blocks per set. UC Davis (just like UH) has lost two straight and three of the past four. Overall, the Bows have won the past 9 in this series. UC Irvine (7-6, 1-0) has won four in a row after their tough 4-set win at UC Santa Barbara on Tuesday. Preseason picked to finish 3rd, the Anteaters are coming off a postseason appearance in 2017 where they made it to the Quarterfinal round of the National Invitational Volleyball Championship. After beginning the season 1-5, UCI has won four in a row. Three-time first-team All-Big West selection Harlee Kekauoha is a key offensive threat for UCI from the right side. She’s received help from Outside Hitter Loren Carter, who is averaging 3 kills per set. Freshman Outside Hitter Abby Marjama leads the conference and is tied for 10th in the nation with 27 service aces. Things to remember: UH has never lost to UC Irvine. The Bows are 38-0 all-time versus the Anteaters. For the second straight year, UH opens up conference play with UC Irvine and UC Davis. In 2017, UH was 7-2 away from home (7-1 in road matches, 0-1 in neutral site matches). For Friday’s match at UC Davis, we’re on NBC Sports Radio on AM-1500. Our prematch show begins at 3:50 p.m. HT; you can listen in on AM-1500 or at nbcsportsradiohawaii.com. with a listen live player. Sunday’s match at UC Irvine, we’re on ESPN 1420 with our prematch show beginning at 11:50 a.m. HT. Head to the website (espn1420am.com) for the listen live player. Week three for the Rainbow Wahine saw their first and only non-conference tournament of the 2018 season. This would have been the second one in these first three weeks, but Hurricane Lane had other ideas. This tournament didn’t feature a traditional powerhouse program nor one that has had a lot of postseason success, but it did give a chance for the ‘Bows to continue working on that consistent lineup and fine tune their all-around game for the all-important conference play that begins later this month. A 2-1 record for this tournament left a lot of positives but some things to work on heading into week 4. A couple of the takeaways from the first four matches were evident throughout this past week. Another slow start for Hawai’i in their match against an Idaho team that had 5 seniors in their 7-player starting lineup. Despite being down 14-7 in the first set, the Bows found a way to make a comeback and win the set by 4 points. A big addition to the rotation for UH was the insertion of Middle Blocker Natasha Burns in the middle of set 2. In the postgame interview, she mentioned to us that even if you’re not a starter, you must be ready to go with the scouting report in mind if your name is called to go in as a substitute. You can’t teach height and with her being 6’5”, she was able to put down 4 of the teams’ blocks in addition to adding 9 kills. Her ability to read the offense on the other side of the net helped the momentum swing back in the Bows’ favor after losing the second set 25-23. UH would win that match in 4 sets. Portland came in undefeated and hadn’t really played anyone when looking at their schedule. They run a very quick-tempo offense and they are very efficient (they came in at No. 4 in the NCAA in hitting percentage, .307). They featured three Hawai’i high school products on their roster and two of them were in the starting lineup. Middle Blocker Shayla Hoeft (Seabury) and Libero Carey Williams (Kahuku) had individual performances they won’t forget as the Pilots beat the Rainbow Wahine 15-8 in the 5th set. A good takeaway-Norene Iosia accomplished something that is more so seen in basketball…a triple-double. Her career-high 15 kills, to go along with 14 assists and 13 digs kept UH in the match. A bad takeaway-the inability to side out once again. Look at the 5th set where UH was down by 4 at the turn (4-8) and got it to within 8-9. A UH service error (8-10) and then five natural points for the Pilots off their serve ended UH’s 3-match win streak. The ugly takeaway-Set 2 almost saw UH be held to single digits in points. Hawai’i would score a couple of points to avoid that, but the 11-25 second set score was the worst set loss for UH since the 2009 Regional Semifinal against Stanford (9-25). The San Diego State match featured a first in Rainbow Wahine history: two UH alumnae as head coaches against one another. The head coach for the Aztecs, Deitre Collins-Parker, was one of the best to ever don a Rainbow Wahine uniform. She was one of the reasons two of the four championship banners (1982, 1983) hang above the Stan Sheriff Center floor. So appreciative of her time as a Rainbow Wahine and always loves to bring her teams out to the island. Offensively, McKenna Granato struggled offensively and didn’t have a kill in the 1st set. She would go on to have 4 total for the match (keep in mind coming into this match she was averaging over 4 kills a set). Natasha Burns was big again, adding in a career-high 15 kills and a season-high 5 blocks. Casey Castillo chipped in a season-high 12 kills and Angel Gaskin looked more comfortable on the right-side, putting down a career-high 10 kills as UH won in 4 sets. They’d finish the Outrigger Volleyball Challenge for the third-straight year with a 2-1 record and a second-place finish. A big congratulations to both Tita Akiu and Natasha Burns, who were each named to the All-Tournament Team. Akiu was very important all weekend. Over the three matches, she recorded 70 digs (including a career-high 26 vs Portland) while passing almost 80% of the court on serve-receive. This past Monday, Akiu was named the Big West Conference Defensive Player of the Week, UH’s 1st individual conference award of the season. A very good Oregon (5-3) team arrived on Tuesday with a win over then-No. 1 Minnesota on a neutral court last week at the Big Ten/Pac-12 Challenge. They have already played three matches against the Top 5, going 1-3. According to prepvolleyball.com, the Ducks feature the 4th-best recruiting class. Add that to their No. 2 class for 2016 and another No. 4 class for 2015 and Head Coach Matt Ulmer has a lot of talent on the floor. Pac-12 Freshman of the Week, Brooke Nuneviller, leads the Ducks with 4.65 digs/set. Their setter, August Raskie leads the Pac-12 and is second nationally with 12.73 assists/set. Three players (Willow Johnson, Ronika Stone and Lindsey Vander Weide) each average over three kills per set and the Ducks are No. 1 in the Pac-12, third nationally with 15.23 kills/set. Oregon also features a Kamehameha alumna, Sophomore defensive specialist/libero Kyra Hanawahine. I hope those in Maui County, as well for those on Oahu stay safe this week through Tropical Storm Olivia and also to our friends from Coastal Carolina who will see Hurricane Florence in the next couple of days. Located in Conway, S.C., the campus less than 10 miles from the ocean and the Chanticleers have already cancelled their home tournament that was supposed to be later in the week. Our thoughts and prayers are with everyone who is bracing for this powerful storm. Things to remember: Hawai’i hasn’t faced a ranked team this season (Hurricane Lane took away the match against nationally ranked UCLA that was scheduled in week 1) and has lost their last 10 against the Top 25. Their last such win came in 2015, a regional semifinal 3-0 win vs Penn State. The last regular season win against a nationally ranked team came in September of 2015 when UH beat then-No. 2 Florida in 5 sets. This is also the only Pac-12 team that UH faces in the regular season (2017: UH went 0-2, losses to UCLA and Utah). UH hasn’t beaten a Pac-12 team since 2016 when the Bows outlasted USC in the 1st round of the 2016 NCAA Tournament. Both UH matches are on ESPN 1420 this week. Our prematch show begins at 6:50 p.m. on Thursday and Friday. You can also listen on our Sideline Hawai’i app, available for free at the App Store or Google Play. If you’re in the arena, you can listen our special FM frequency (106.5 FM). Our website (espn1420am.com) has a listen live player as well. You can also follow me on twitter (@tiffersHI) for all things volleyball. What a weekend for the University of Hawaii. Women’s Soccer picks up two wins (Saint Mary’s and Pacific) on the continent, UH Football scores a home-opening win versus Navy and Women’s Volleyball sweeps their way to two victories against Coastal Carolina. The product and result on the floor in Week Two looked vastly different from what was put out there in Week 1. UH looked more comfortable in a normal environment, which was a far cry from the prior week, when Hurricane Lane created chaos with the schedule. For the third and fourth time this season, UH was led in kills by McKenna Granato. The senior from Punahou has also been active defensively, with double-digit digs in three of those four matches to give her three double-doubles so far. What has been a nice addition has been the consistent offensive production of senior Casey Castillo. She has become a smarter hitter; her attacks may not be the hardest hit balls in a match, but her near 3 kills per set and her attack percentage (around .300) are where you’d like your outside hitter to be. UH’s modified 6-2 system has Faith Ma‘afala setting when Norene Iosia is in the front row. When Iosia comes to the back row to serve and then set, Ma‘afala heads to the bench and is replaced Angel Gaskin. It gives Hawai’i three front-row attackers at all times, and it allows Gaskin to focus primarily on hitting and blocking. Gaskin looked more comfortable on the floor in Week 2 but does need to get more involved in the offense when she’s on the floor in that limited role. Defensively, the Bows performed very well against Anett Nemeth, Coastal Carolina’s opposite who was the reigning Sun Belt Offensive and Freshman Player of the Week and a player who had no fewer than 12 kills in each of her first three matches. She hit negative .077 on the first night (7 kills, 9 errors on 26 swings) and .200 for the second night (9 kills, 4 errors on 25 swings). Hawai’i held the advantage in digs both nights (Night 1, 45 to 39; Night 2, 40 to 33) and was pretty even in the block department (Night 1, 6 blocks each; Night 2, UH led 5-4). There wasn’t a lot of tinkering with the lineup on either night, especially during the time period between sets two and three. That is usually where if a team is either ahead or behind in the match by two sets, a coach may change the lineup. That’s not to say the lineup couldn’t change for this weekend or throughout the season, but the same personnel was on the floor for the majority of both matches. It was also very nice to see Janelle Gong, someone who redshirted last season, get her first action of her career on night 2 and proceed to end the match with a service ace. The two players whom we’ve had on the postgame show (Faith Ma‘afala and Sarah Liva) have talked about how close this team is, and that was shown in the way the players on the floor and those on the bench celebrated when Gong ended the match with that ace. They also mentioned about how they worked on blocking from week one to week. Something else they worked on was serving. UH had 23 service errors in 6 sets, most coming off a float type of serve. Normally this would have been the third tournament in as many weeks to open the season, but the 2018 campaign so far has been anything but normal. The Outrigger Volleyball Challenge begins this week (Thursday through Sunday) and remember, due to the Rainbow Warriors having a home game on Saturday evening against Rice, volleyball will take the day off. There will still be a match at the Stan Sheriff Center on Saturday afternoon, however, with Idaho taking on Portland. Idaho (4-2) comes in having won two straight and have won the first two Offensive Players of the Week awards in the Big Sky Conference (DeVonne Ryter and Kaela Straw). The Vandals were the preseason favorite to win their conference are currently 32nd in the nation in blocks per set (2.68). Portland (6-0) features three players from Hawaii high schools (Shayla Hoeft-Seabury; Carey Williams-Kahuku; Kassidy Naone-Le Jardin) and two of those are in the starting rotation for the Pilots. Fans will remember Hoeft from last season when she was a starter for Nevada and the Wolf Pack came to Honolulu for a non-conference tournament last year. San Diego State (1-5) is led by Deitre Collins-Parker, who is one of the best to have ever put on a Rainbow Wahine uniform. A two-time national champion and Player of the Year, Collins-Parker has seen a slow start for her Aztecs this season. She does have, however, a Preseason All-Mountain West selection in senior Middle Blocker Deja Harris. Harris is averaging 1.32 blocks per set while recording 3 kills per set. Things to remember: Hawaii, Idaho and San Diego State all used to be members of the Western Athletic Conference but are all now in three difference conferences. UH has never lost to Idaho (20-0 all-time) and are 40-3 versus the Aztecs. This will be the first-ever meeting between UH and Portland. All UH matches this week will be on ESPN 1420. Our pre-match show begins at 6:50 p.m. on Thursday and Friday, while Sunday’s broadcast will start at 4:50 p.m. Remember tha,t if you’re coming to the arena, the ticket for the UH match gets you into the first match as well. You can also listen on our Sideline Hawai’i app, available for free at the App Store or Google Play. If you’re in the arena, you can listen our special FM frequency (106.5 FM). Our website (espn1420am.com) has a listen live player as well. You can also follow me on twitter (@tiffersHI) for all things volleyball. A week really unlike any other we’ve seen out here on the island occurred last week. As stated in last week’s blog, even with an indoor sport, you must always consider the weather conditions. To go from 4 teams with 6 matches over three days to having a tournament cancelled due to two teams pulling out as a precaution to Hurricane Lane and resulted in two teams having to sit and wait as to whether or they would even play at all. Right around the time where Honolulu Little League won the U.S. Championship on Saturday morning with a 3-0 win over Peachtree City, Georgia, I received a call from the UH Sports Information Department saying that there would be two matches against Kansas State and asking whether or not we at ESPN 1420 would be available to broadcast the closed match some 8 hours later. I’ve been blessed to be on the call for many games over the last decade at the Stan Sheriff Center and to be behind the mic for a “closed to the public” match was a first. With no returning All-Americans (something quite unusual for this program) and two different lineups, it wasn’t the start the program nor the fan base wanted for 2018. A third straight year of losing its season opener (the first time in program history that has happened), swept in the season opener at home for the first time since 2008 (Penn State), losing their first two matches of a season via a sweep for the first time ever. The two losses to Kansas State also mark the first time since 1993 (UC Santa Barbara) that UH has lost twice to one team at home. Each match featured a different lineup as Coach Robyn Ah-Mow Santos looked for a group of seven that would work together. All three started the first match but two really made an impact on the weekend. Libero Tita Akiu filled in nicely for the graduated Savanah Kahakai, recording double-digit digs and wasn’t aced. For not having played volleyball since the 2015 season, Sarah Liva held her own in the middle blocker position, notching 15 kills and was in on three blocks. Right side hitter Angel Gaskin still has yet to play a full match (played in three of the six sets so far) and impacted those sets more as a blocker than as a hitter. A modified 6-2 (six hitter-two setter) offense was used in match two and for most of it, Norene Iosia was the team’s leading attacker (career high 10 kills). One aspect from last season that carried itself into the opening weekend of 2018 was the inability to close out sets. In Set 2 on Saturday, UH had two set point opportunities and then on Sunday in Set two, UH had five set point opportunities. Both of those sets were lost in extra time and it gave Kansas State a 2-0 lead in each match. Due to football having a home game on Saturday against Navy, it’s a short week for the Bows as they play Thursday and Friday against two-time defending Sun Belt Champion Coastal Carolina. The Chanticleers (1-2) come to Honolulu for the first time in program history and are the preseason favorite to win the East Division in the Sun Belt. For the fifth straight year, CCU opened the season on the road and last week they were at the Georgia Invitational. They lost at Georgia in 5, were swept by Illinois State before getting a 4-set win over Furman. 6’3” right side Anett Nemeth from Hungary is one of five international players on the roster and is the reigning Sun Belt Offensive Player of the Week, in addition to being named the Sun Belt Freshman of the Week. The first knuckleball served to the 2018 schedule came before summer when two schools – Pittsburgh and Utah – announced they weren’t making the trip to Honolulu for the tournament that had been originally scheduled for week 2 of the season. That left UH having to play a second straight 2-match series to begin the season. Things to remember: Hawai’i begins the season 0-2 for a third straight year. Now, we don’t know how or where the 2018 team will finish, UH was able to rebound in 2016 (won the Big West Conference and made the 2nd round of the NCAA Tournament) and 2017 (runners up in the BWC and made the 1st round of the NCAA Tournament). Now, of course, there is no Nikki Taylor or Annie Mitchem like there was in 2016 nor Emily Maglio in 2016 and 2017 to buoy the offense and carry the team here in 2018 so it’ll have to be someone else. The state of Hawai’i is unlike any other. It’s unique to represent an entire state. In the past week and a half, as we were all scrambling to take the necessary precautions, staying up-to-date with information and now dealing with the aftermath (some still feeling the effects), sports, for at least a couple of hours in the day, helped to provide a bright spot and something to look forward to. Whether it was following those smiles and style of play of the Honolulu Little Leaguers to seeing the island chain on one side of the UH Football helmet, we as a state rally together. As I said many times last week during the broadcast, my thoughts and prayers go out to those affected by the flooding and debris left by Lane, especially to those on the Windward side (from Kohala to Ka’u) of Hawai’i Island and on Maui. We cannot forget the fires on both Maui and Oahu. And now we hear of more flooding to those on the northern side (Ha’ena, Wainiha, Hanalei) of Kauai that had already been hit with devastating floods this past April. Both matches this week (Thursday and Friday) are on ESPN 1420 and will begin at 6:50 p.m. with our prematch show. You can also listen on our Sideline Hawai’i app, available for free at the App Store or Google Play. Out website (espn1420am.com) has a listen live player as well. You can also follow me on twitter (@tiffersHI) for all things volleyball. 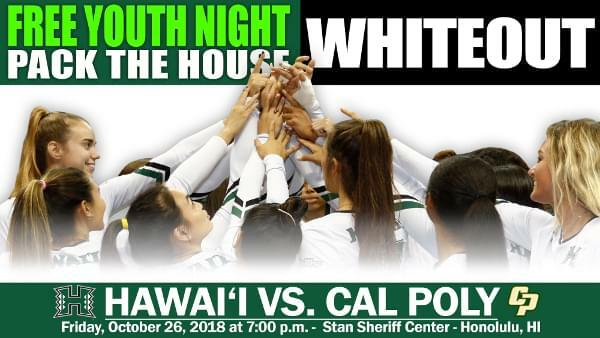 The Rainbow Wahine volleyball team is arguably the state’s most beloved team, as evidenced by the yearly attendance figures (Hawai‘i has been in the Top 2 nationwide every year since the Stan Sheriff Center opened in 1994). The program boasts a very long and deep tradition that includes undefeated conference seasons, annual berths into the NCAA Tournament (25 consecutive, 36 overall), conference and national Player of the Year Awards and four championship banners (1 AIAW and 3 NCAA). In a sport now dominated by the Power Five conferences, the Rainbow Wahine volleyball team has managed to remain relevant throughout the decades as one of a select few programs from the mid-majors. “Cautiously optimistic” would describe the team’s 2018 outlook. There’s no preseason Top 25 ranking (the first time since the poll began in 1982). There’s no preseason No. 1 ranking within their own conference; it’s the first time since the 1995 Big West preseason poll that UH isn’t the favorite). No returning All-Americans (UH’s lone selection last season, middle blocker Emily Maglio, graduated this past spring). It sure doesn’t describe the typical UH Rainbow Wahine team entering a season. Once in a while, this program will get a transfer, but this has to be one of the first times (if not the first) that UH has added not one…not two…but three transfers: libero Reyn “Tita” Akiu, right-side hitter Angel Gaskin and middle blocker Sarah Liva. All three are seniors, and all three are expected to be key factors for the program this season. I wouldn’t be surprised if two, if not all three, are in the starting lineup either on opening night against Gonzaga this Friday or by the end of this tournament. Even though volleyball is an indoor sport, you still have to consider weather conditions. With Hurricane Lane approaching and its projected track, it could put a damper on this first tournament, the Hawaiian Airlines Rainbow Wahine Classic. Already, this weekend’s Rainbow Wahine Soccer Invitational has been cancelled, and you can expect more sports will see adjustments and/or cancellations later in the week. There’s way more to life than sports. Keep following the local news and the university, as well as social media for updates throughout the week. Please be safe, have your hurricane kits and disaster plans in place and prepare your property now. Things to remember for this week: UH began last year 0-3 (two of the losses were to ranked teams, and all three opponents made the 2017 NCAA Tournament). Also, UH went 0-5 vs ranked teams in 2017 (they are 0-10 dating back to 2015). This first tournament (Gonzaga, Kansas State and No. 11 UCLA) isn’t as daunting as last year’s (Marquette-received votes in the 2017 preseason poll, No. 22 San Diego and No. 13 UCLA), but it provides good tests against a Power Five team (Kansas State) and an opportunity to etch an early season notch on the résumé against a ranked team (UCLA). I’m excited to be behind the mic for my fifth season as the voice of the Rainbow Wahine and to be bringing every match to you on ESPN 1420 and NBC Sports Radio on AM 1500. You can also listen on our Sideline Hawai’i app, available for free at the App Store or Google Play. Both websites (espn1420am.com and nbcsportsradiohawaii.com) have a listen live player as well. You can also follow me on twitter (@tiffersHI) for all things volleyball.